It is hard to believe that a week has passed since the great basement incident of 2014. I am proud to report that the basement is refinished, the comics are safe, and we have another great week of comics to look forward to. 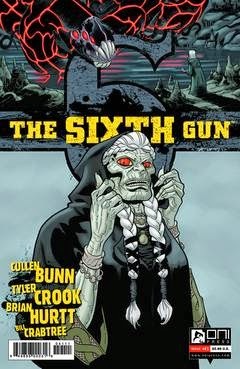 The Sixth Gun #41 - Cullen Bunn's masterpiece continues its path towards its epic conclusion. This week we are treated to the backstory of Griselda the Grey. I have to hand it to Bunn, but he made me feel sympathy for this vile creature. Understanding her past was a riveting experience and would be enjoyable even if you haven't read this series (why haven't you? It's great!). The more I learn about the history of The Six, the more I hope Bunn has planned for this world (worlds depending on how many times things have been remade). Understanding why Griselda uses others and how important she is in this whole thing was extremely satisfying. I remain in awe of this issue and this series. 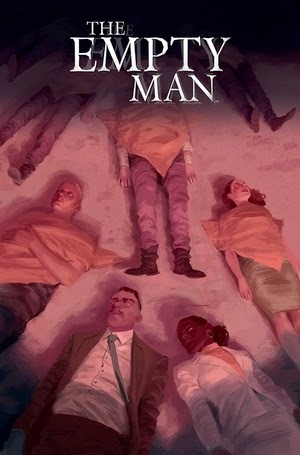 The Empty Man #1 - Cullen Bunn must be one of the hardest working gents in the business. I am not sure how he has the time to do what he does, but he has managed to deliver another stellar horror title. The Empty Man, might be a pandemic that is impacting people's sanity. Vile acts are being committed, and based on the open, it may be connected to a religious cult. While Bunn has another intriguing story at hand, Vanesa R. Del Rey delivers some truly horrifying art. She establishes a dark tone that truly allows this story to shine. Make sure you go back and pick this title up. 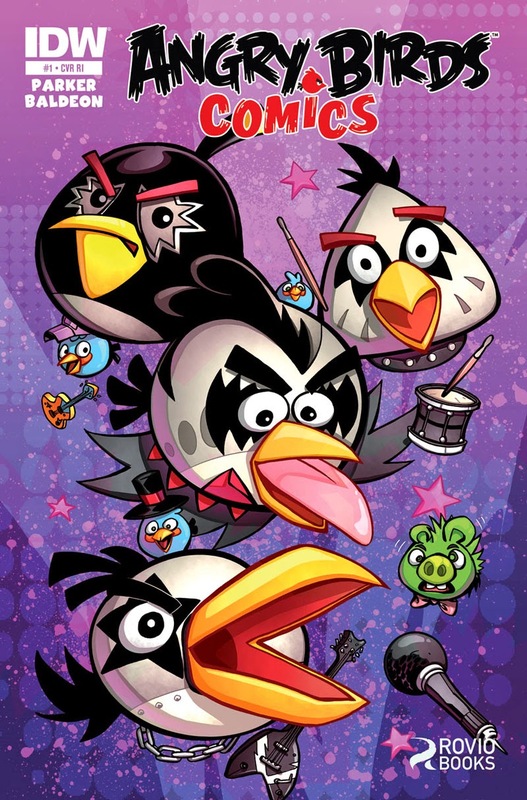 Angry Birds #1 - Before you rush to judgement on this title, it might be worth your time if you are a parent. As the father of a six-year-old boy, I have endured a lot of Angry Birds, and Angry Birds related products in my life. I wasn't sure I needed a comic, but I feel fine about it. At least it encourages reading and manages to deliver a few laughs. Definitely not for those who aren't Angry Birds fans, but not a bad book to introduce children into the wonderful world that is comics. Deadpool #30 - Deadpool's Original Sin tie-in continues, but little has been revealed about his past. He is currently busy fighting vampire's to help out his wife. Disco era Dazzler and Deadpool taking down hordes of vampires set to the lyrics of disco music is worth the price of admission alone. The not so subtle jabs at X-Men and time travel were thrown in for good measure. Fun title that ended with a quasi-reveal of what the Watcher knew about Deadpool. The Walking Dead #128 - The new arc continues, albeit slowly, establishing the new colony that Rick and crew has set up. 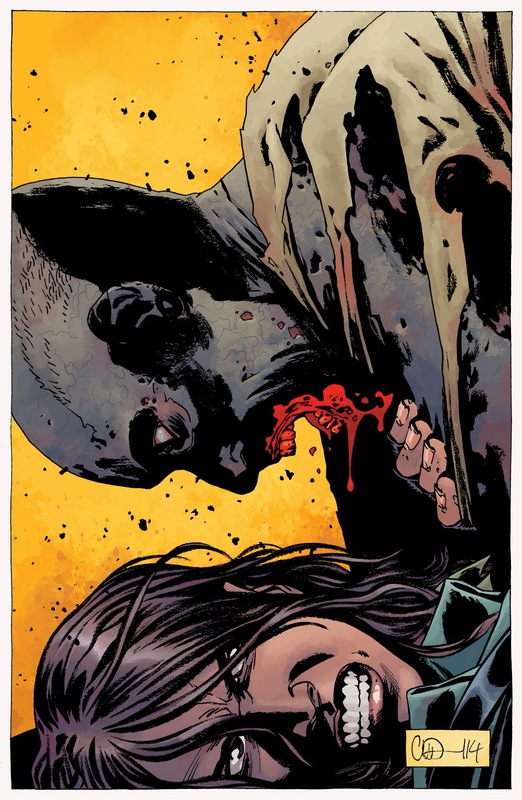 This slow pace has me nervous for the hammer that Kirkman is going to drop. Negan is still alive, befriending Carl, and the newcomers are set to do some digging. This definitely feels like the calm before the storm. Wolverine #8 - With all of the hype around "3 Months to Die" I thought it would be a good time to revisit Logan and see what he has been up to. Wolverine has lost his ability to heal and is currently seeking answers regarding his own death. This has brought him into a confrontation with Sabertooth, who is currently holding his current romantic interest hostage. While I don't fully appreciate the backstory, this seemed to be a good jumping on point to participate in the death of Wolverine. Not bad. Not great.